Fig. 1 Beautiful day for sampling the Raritan! Aresty Summer Research assistant Sheri Elsaker (left) and research assistant Katie Parrish (right). The study of microplastics and their negative effects as water pollutants has led to multiple opportunities for research and partnership. 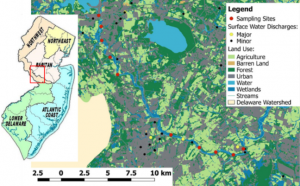 Through the Rutgers Raritan River Consortium minigrant program, Dr. Nicole Fahrenfeld led a study with the Raritan Headwaters Association (RHA) over this past summer. 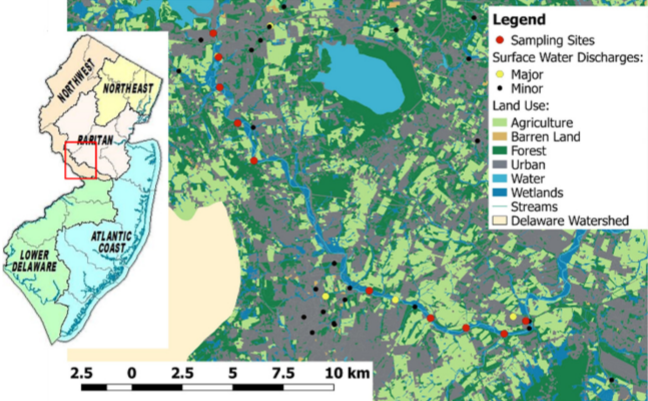 The goal of the study was to better understand microplastic transport and hazards. To do this, the team performed a combination of field and laboratory work. Fig. 2 Map of sampling sites. These were chosen at locations up and downstream of major surface water discharges and most coincide with sites that RHA has performed long-term monitoring for macroinvertebrates. First they conducted sampling along the Raritan River downstream of major surface water discharges, at sites that matched RHA’s long term monitoring sites for macroinvertebrates, visual habitat and chemical parameters (Figure 2). Raritan Headwater Association’s scientists and summer interns performed water sampling at these sites and are currently quantifying microplastics in the samples. 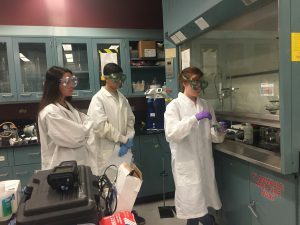 Fahrenfeld lab members shared methods with RHA’s team on fixed net sampling, extraction, oxidation, and common techniques for visual identification of plastics. Together they extracted plastics in two size classes and used visual identification to identify suspected microplastic particles (Figure 3). The study found plastic at all collection sites and are now working to understand why select sites may have higher concentrations than others. Fig. 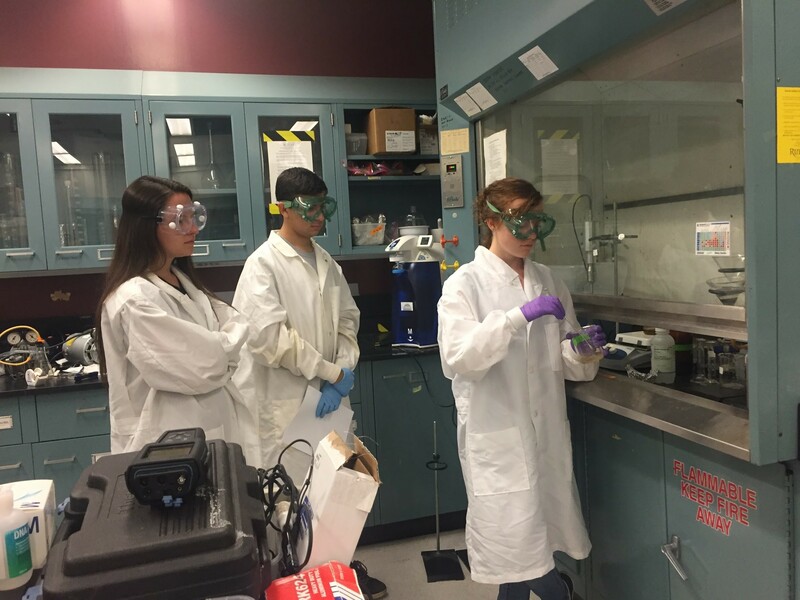 3 Katie showing the undergraduate interns from RHA how to perform microplastic extraction. The data collected will be helpful for understanding both biodegradation potential of these plastics as well as the potential for hazard that may be associated if certain microbes grow on some surfaces more often than others. The team is working through the results over the 2017-18 school year and plan on presenting their findings next year at the 2018 Sustainable Raritan River Initiative conference. For more information, contact Dr. Nicole Fahrenfeld at nfahrenf@rutgers.edu.